The April 2012 Scanfest will take place here at AnceStories this coming Sunday, April 29th, from 11 AM to 2 PM, Pacific Daylight Time. If you would like to be a Producer, please e-mail me no later than Saturday, April 28th at 4 PM, PST and I'll send you an invitation. Preference will given to previous Scanfesters. You must set up an account (free!) ahead of time to be a Producer. This account will be good for all future Scanfests. You can do some practices ahead of time by going to My Account and clicking on the link under Practice your live blogging. Again, you must have IE 6.0+ or Firefox 2.0+ to be a Panelist. 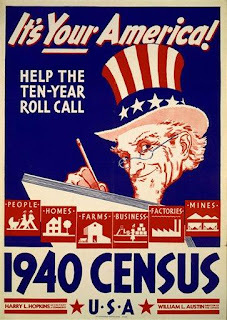 In order to find your family in the 1940 U.S. Federal Census when it is first released to the public on April 2, 2012, you will need to know where your ancestors at that time, as the census will not be indexed immediately. A team of volunteers is amassed, ready to start indexing, but it still will take some time! If you would like to help, please sign up here. City, county, rural and other directories will be helpful in figuring out where your ancestors lived in 1940, especially if you believe they moved after the 1930 census was taken. Using my Online Historical Directories site can assist you in this process; however, please remember that I do NOT have links to all the 1939 - 1941 city directories available online on my site YET. The rate at which directories are scanned and uploaded to the Internet is much greater than one person like myself can keep up with; even if I had a team, it would be impossible to stay ahead of the game! Here are some tips to help you find those directories and thus find your people on the 1940 U.S. Federal Census. 1. First, see if there are links to directories listed for the place in which your people lived and the time period of the late 1930s to the early 1940s on my Online Historical Directories site. 2. If you can't find links on my Online Historical Directories site for those directories, don't despair! 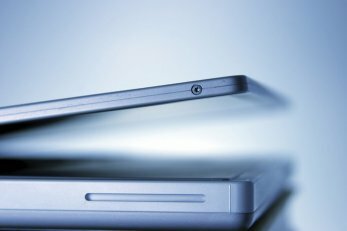 Please read the list of online resources available. Chances are the directories are online somewhere and I just haven't been able to list the links on this site yet. 3. Check out Frequently Asked Questions number 4 and 5 on my FAQs page for help with offline directories and access to subscription sites that you may not have subscriptions to at the moment. 4. Don't forget to check out Steve Morse's Tutorial to help you find those Enumeration District numbers. Tip: Don't use the Back button on your browser, or you'll end up on his Home page. Use the Go Back to the Previous Page button that is at the BOTTOM of each step of the tutorial. Best of luck in finding your ancestors and family member in the 1940 U.S. Federal Census!